Pete Olson has made a name for his business, PJ Builders, by building in Old Town. For many years he created showstopping and awardwinning homes under incredibly challenging conditions. 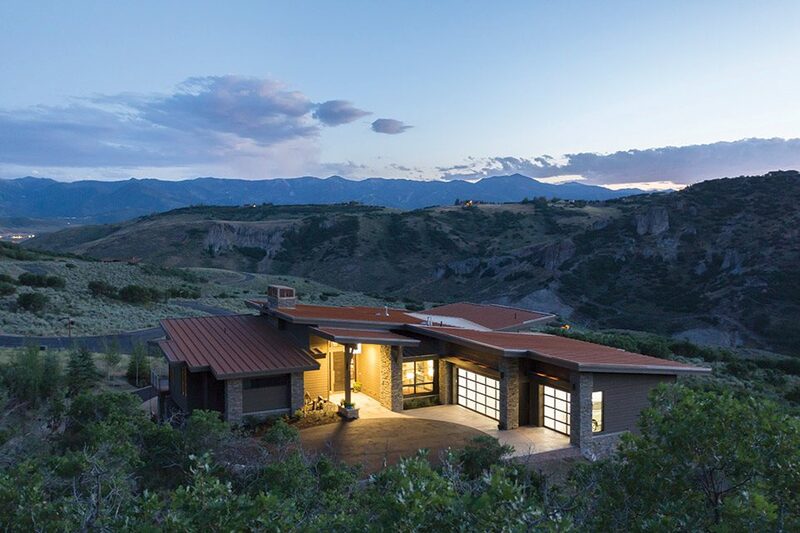 A recently completed and strikingly livable soft contemporary home in Promontory shows what PJ Builders is capable of building given a gorgeous piece of property and homeowners convinced through an incredibly demanding vetting process that he is the best builder around. Construction is a natural fit for Pete Olson. He comes from a construction and engineering family. Pete started working for his father and his uncle early on and later studied civil engineering in college. Like many others who are now the backbone of Park City’s business community, Pete came to Park City to ski over 25 years ago and claimed it as his home. Many of his relationships with subs go back to these early days. Few kitchens have a view like this one. 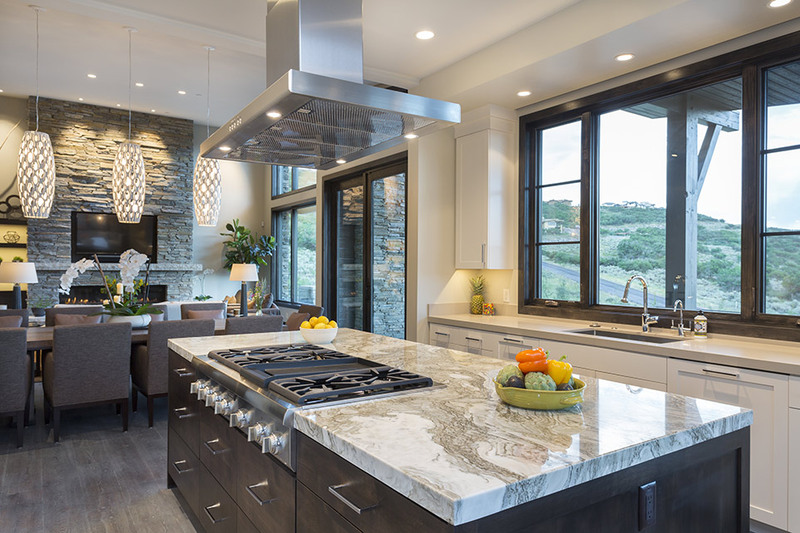 The dazzling stone on the center island is Avalanche granite. Local craftsmen made the eight-foot-tall stained poplar doors found throughout, and the floors are seven-inch European oak with a smoked oak finish. 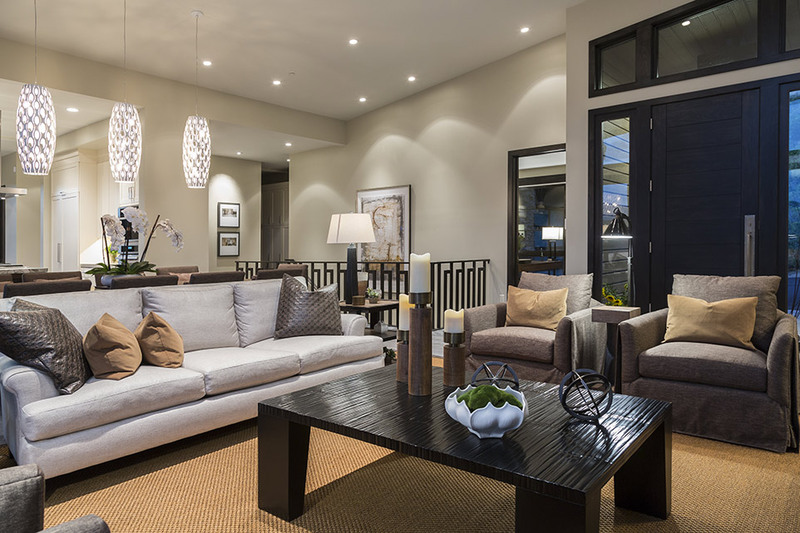 Top: LMK’s color palette is soft with a slight earthiness that ties the home to the mountain setting. 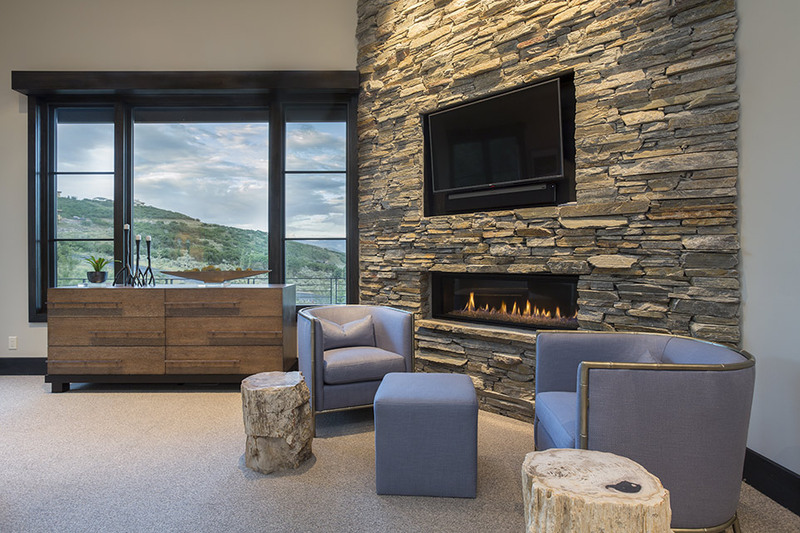 Middle: The stacked stone wall made from quartz ledge stone in the master bedroom complements the mountains without being too rustic. 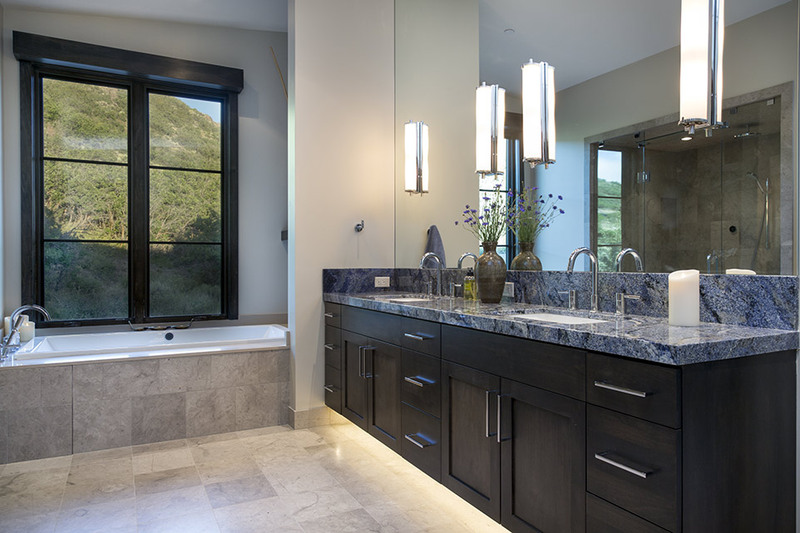 Bottom: The master bath features a jetted tub, steam shower, and European frameless glass to achieve such clean lines. The countertop is Bahia Azul granite. FOR MORE INFORMATION CALL 435.649.7345 OR VISIT PJBUILDERS.COM.